This handy collection packs nearly 400 songs into one conveniently sized book! 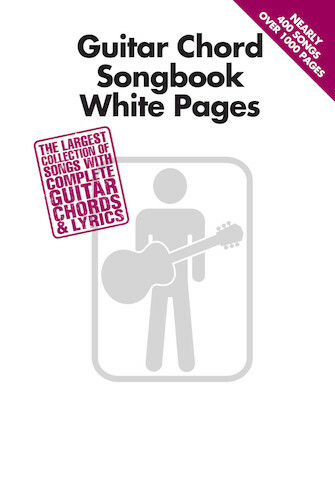 Featuring lyrics, chord symbols, and guitar chord diagrams for hits across decades and genres, such as: All Along the Watchtower • Back to December • Band on the Run • Bennie and the Jets • Brick House • California Girls • Couldn't Stand the Weather • Daydream • Evil Woman • Footloose • The Gambler • Good Lovin' • Hey Jude • Hollywood Nights • I Love Rock 'N Roll • Jump • King of the Road • Livin' on a Prayer • Man in the Mirror • Ob-La-Di, Ob-La-Da • The Rainbow Connection • Smoke on the Water • That'll Be the Day • Walkin' After Midnight • Wild Thing • Your Mama Don't Dance • and many more. Over 1,000 pages of music!